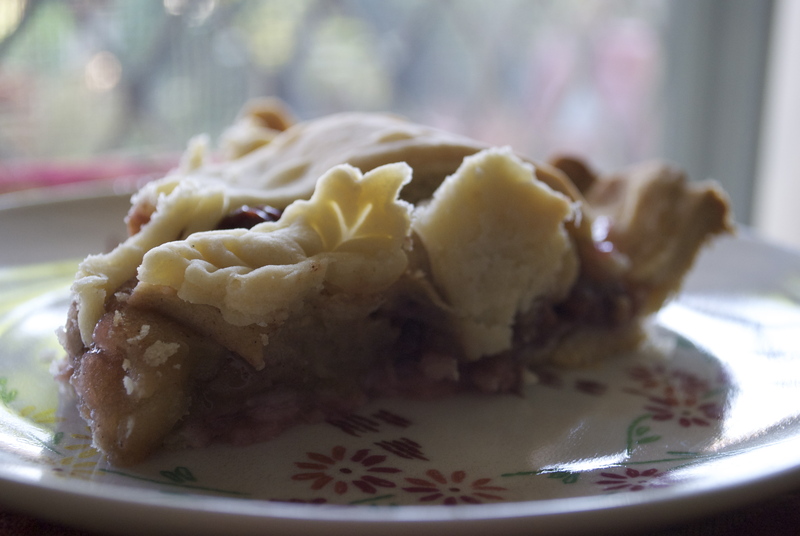 Apple Pickin’ + Apple-Cherry Pie w/ Cardamon & Black Pepper. I had another glorious day on a farm last weekend. Just….glorious. 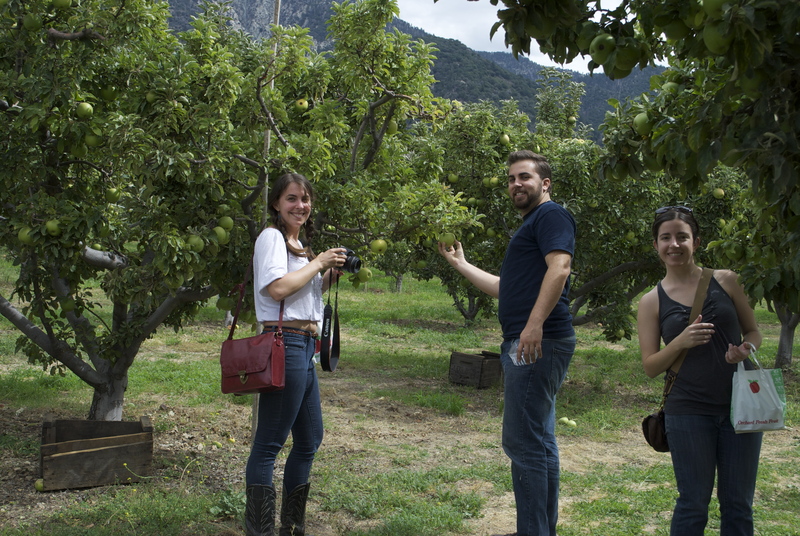 A few friends and I headed to the Oak Glen area of Yucaipa to get our apple pick on. My favorite farm in the area is Riley’s at Los Rios Rancho, so that’s where we went. I’ve been to other farms out there and again, this one has been my running favorite for the past few years. Not only are they super helpful and friendly, but they have the best fruit. 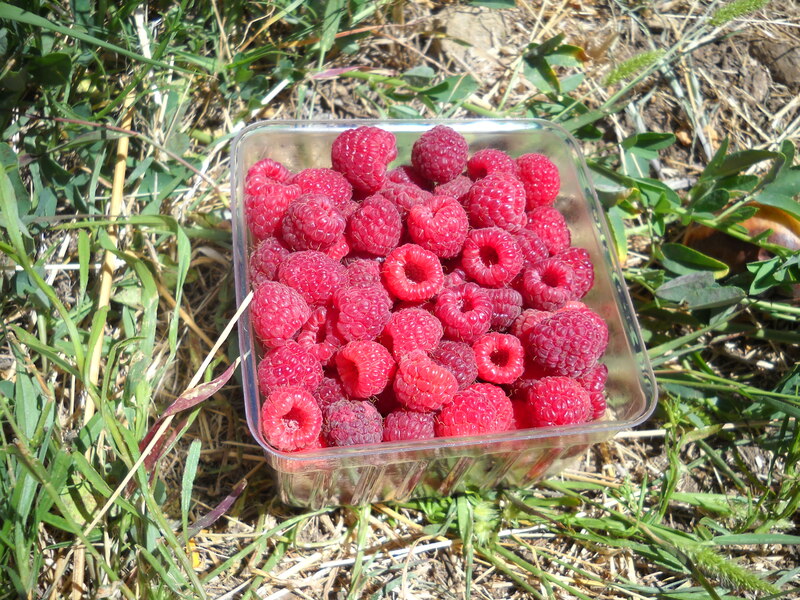 They offer u-pick raspberries, strawberries and several varieties of apples. While Riley’s is not a certified organic farm, all of the fruit is chemical free. 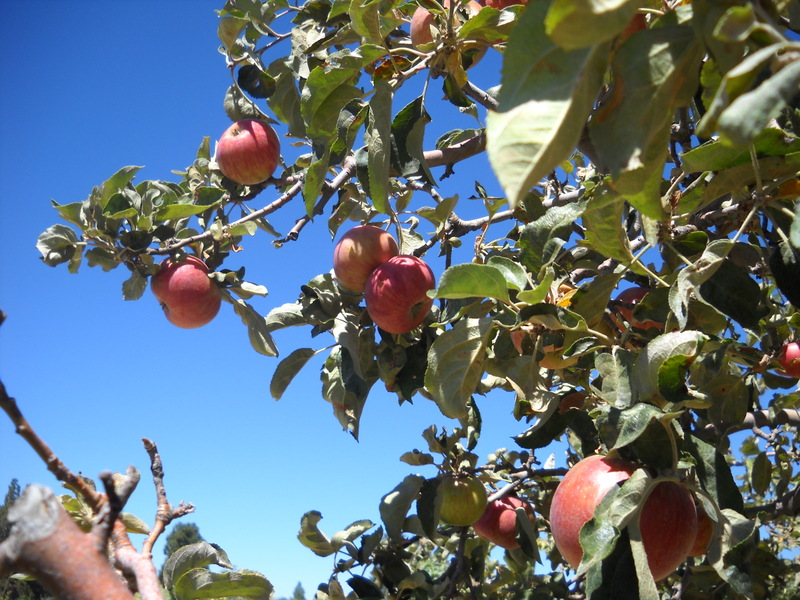 I went a few years ago and got the best Gravenstein apples I’ve ever had, but they are no longer available for u-pick. 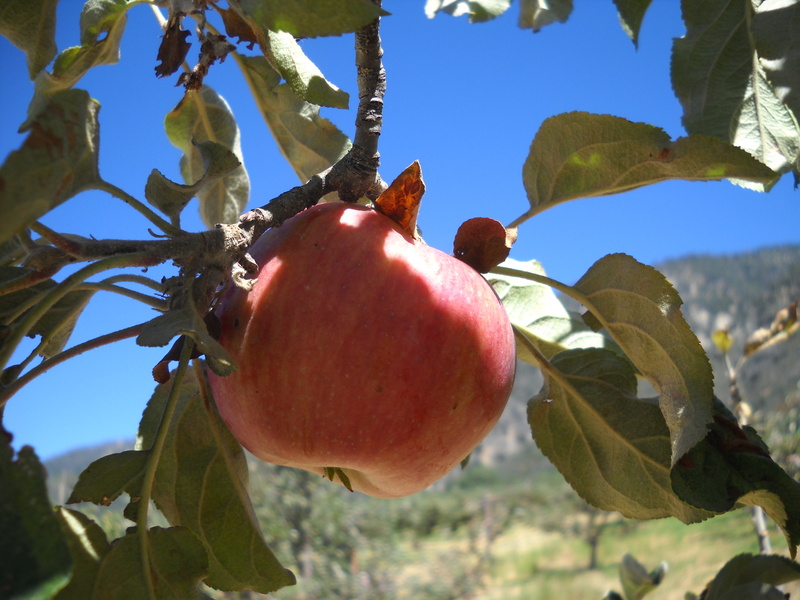 The farm did have Granny Smith, Spartan, Red & Golden Delicious for u-pick when we visited though. Score. Super sweet 4 variety of u-pick apple score. We arrived at the tail end of raspberry season, so pickings were a little slim. 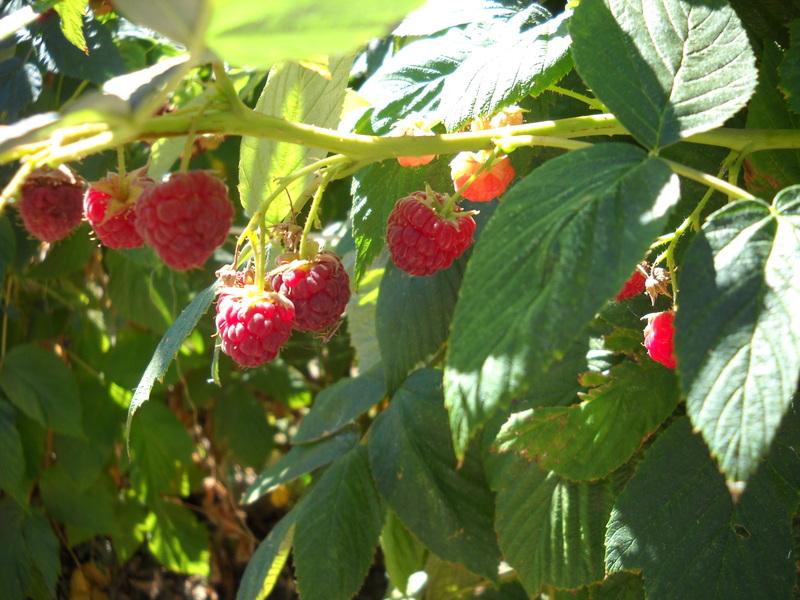 Danielle and Brian combed the through the raspberry bushes and were able to get a pretty decent yield. 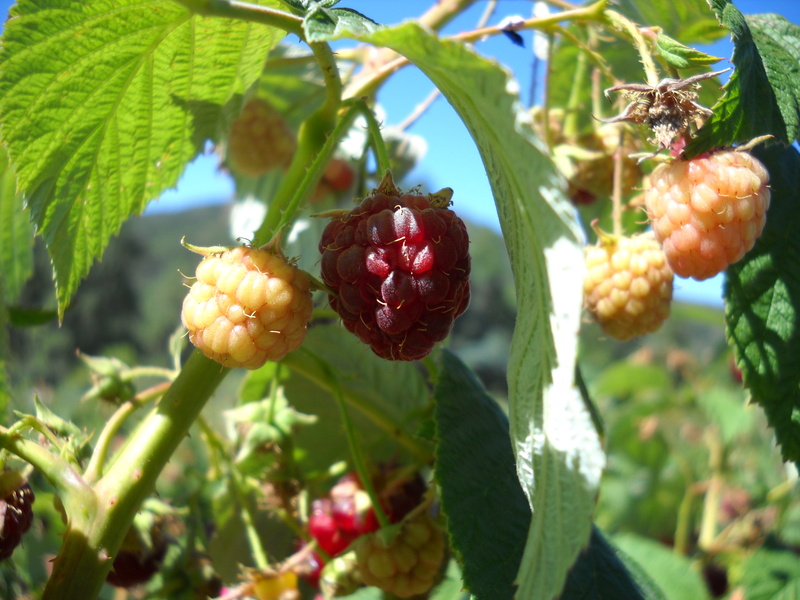 The photos above are from a few years ago when I hit up the farm at the very beginning of apple season and the berries were out of control amazing. My friends and I left with a ton of them and I had to end up freezing a bunch because I went overboard. On our recent visit, we were blessed with a beautiful, slightly overcast but cool day. It was the perfect backdrop for the day. First up we headed to the Red & Golden Delicious part of the orchard. Red Delicious Perfection. 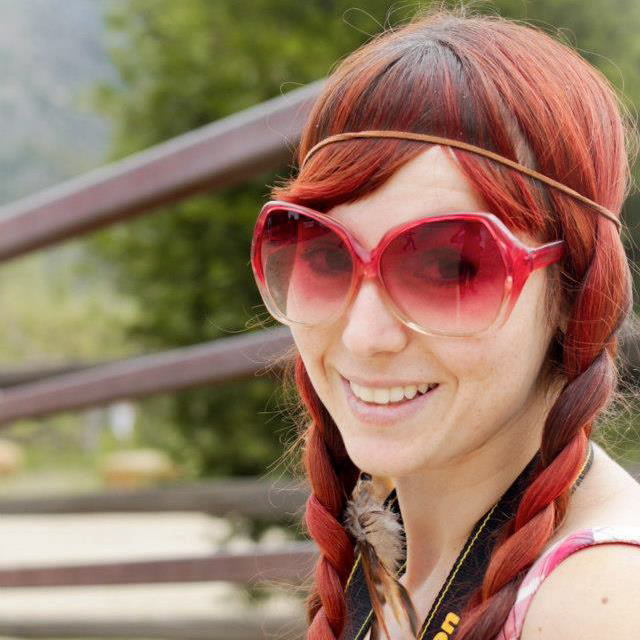 Photo by Danielle of Look Pretty. The yield: The two little ones in the bottom left corner are the only Spartans I was able to get. 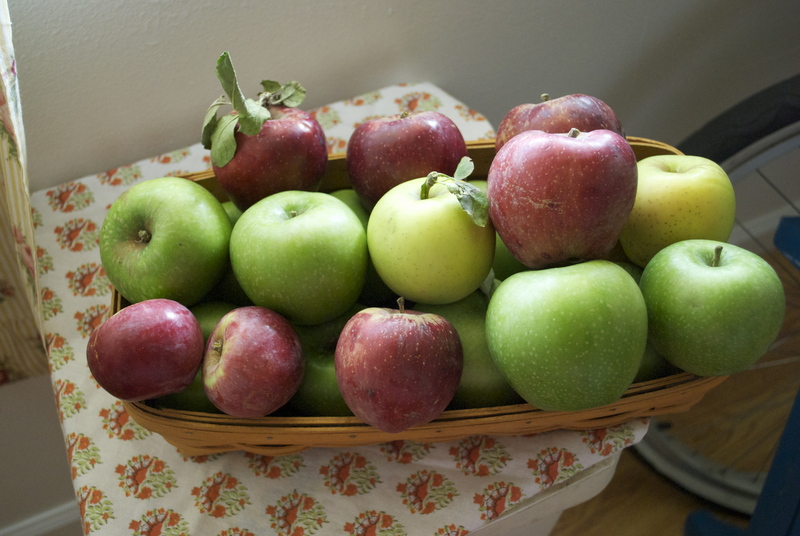 I took home a ton of Granny Smith & Red Delicious, as they were the most ripe. And you know I wouldn’t go apple picking without making a pie when I got home! 😉 This is the third Apple-Cherry pie combo, I’ve attempted. While the others weren’t awful, I think this one def hits the spot! Preheat oven to 425°F. Combine all the filling ingredients in a medium or large mixing bowl and stir to combine. Roll out your crust and lay it into your pie plate of choice. If you’re feeling fancy, roll a little bit of black pepper into your crust. In retrospect, I should have done that and probably will next time. 🙂 Once you’ve got your bottom crust in your pie plate. Go ahead and add the filling. If a lot of juice has accumulated in your mixing bowl, add 3/4 of it and discard the rest. Now, you can do any type of top you like. I did lattice and cut out some little leaf shapes with the scraps. Feel free to just cover up the whole pie though if you don’t feel like lattice or shapes, but remember to cut some vents for steam. You are too sweet lady, too sweet! 🙂 So glad you are liking the sound of my pies. I know some of them have some unusual flavors, but I like to think they all marry well once thrown together. 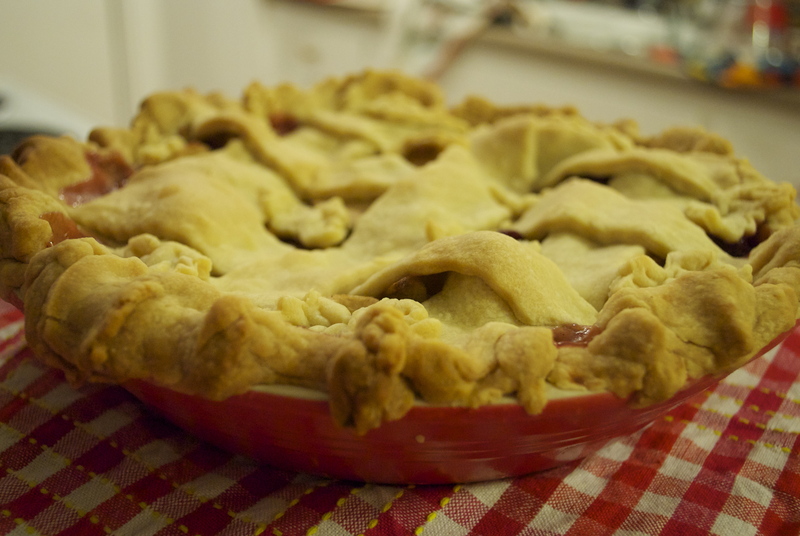 This pie is a bit more tart than some of my others because I used sour cherries and Granny Smith apples–which when ripe are not usually too tart, but I’m sure you know that little zing they have. Anyhow, feel free to add more sugar if like things more sweet than tart. And working for a CSA sounds awesome! Have you ever read “The Botany of Desire” by Michael Pollan? The first chapter on apples totally changed my life. Sounds silly, but after I really learned about apples, I had a newfound crazy appreciation for them. Each apple is a genetically unique individual…just like a person! 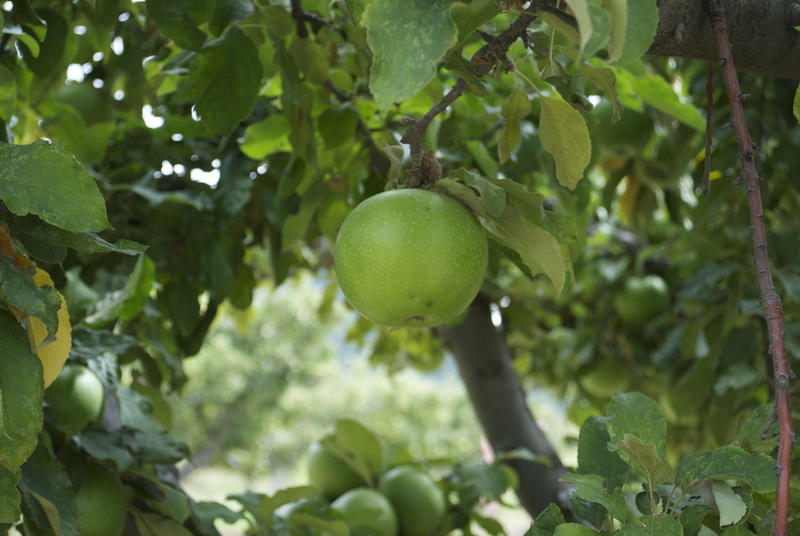 If you took all of the seeds out of a Golden Delicious, each seed would create an entirely new species of tree! 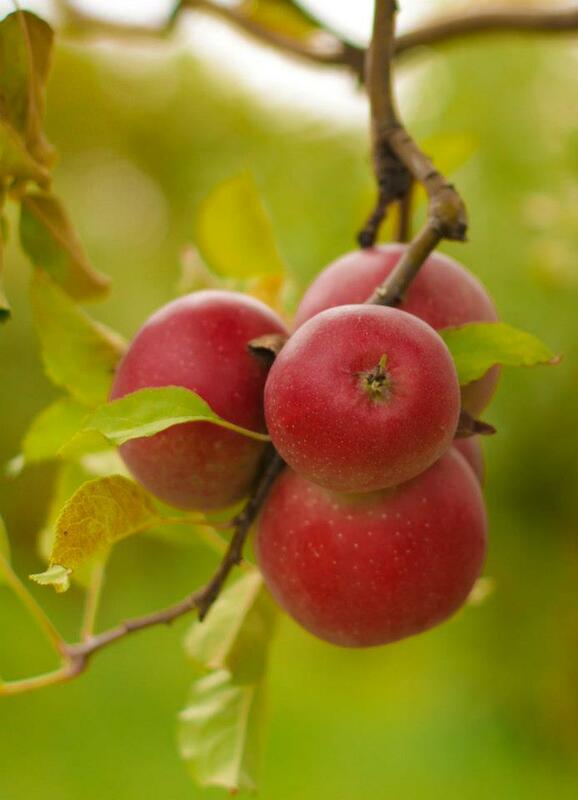 If the tree fruits, the fruit can also be something totally different not even resembling a Golden Delicious! 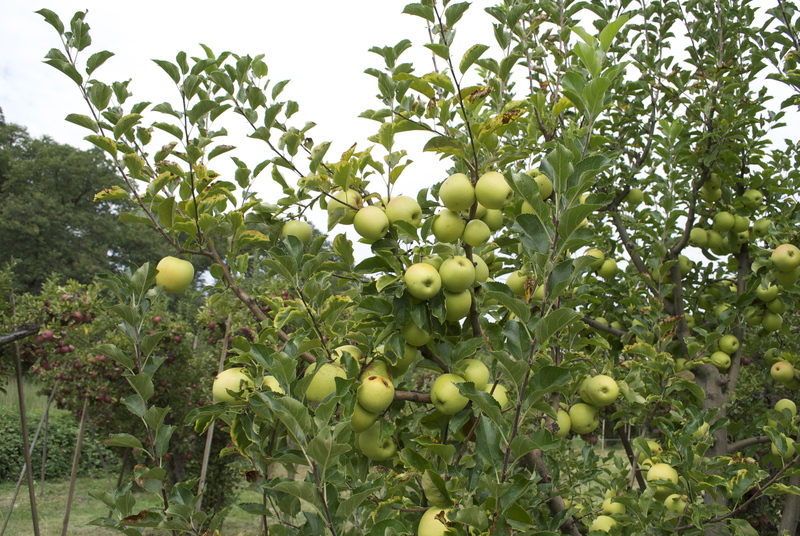 All Golden Delicious (same for other cultivars) are clones from the original tree! Sorry, I’m thinking about all of this again and blowing my own mind! Hahah!